Diego Rodríguez de Silva y Velázquez (1599–1660), El bufón Don Sebastián de Morra, c. 1646, Oil on canvas, 106 x 81 cm, Museo Nacional del Prado, Madrid © Museo Nacional del Prado - Madrid - Spain. 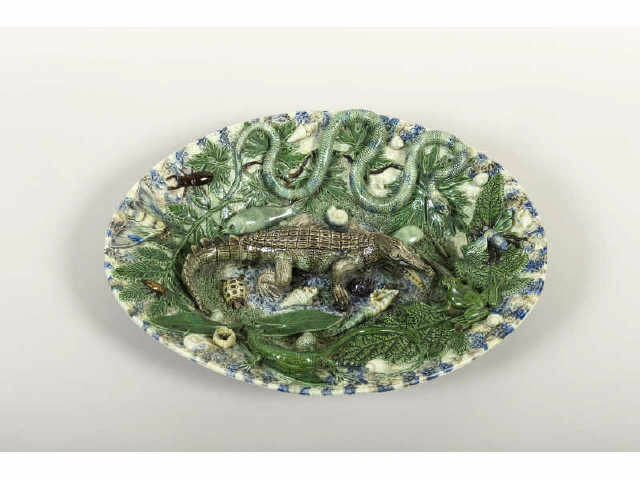 LONDON.- Every month during Dulwich Picture Gallery’s Bicentenary celebration year a spectacular masterpiece will hang on the end wall of the Gallery’s enfilade. February sees the arrival of El bufón Don Sebastián de Morra by Diego Rodriguez de Silva y Velázquez (1599 -1660). Noel Desenfans and Sir Francis Bourgeois, the two founders of Dulwich Picture Gallery, believed that they owned a portrait of King Phillip IV of Spain by Velázquez, painted at the time of the Battle of Fraga in 1644. In fact that canvas is a seventeenth-century copy of the original by Velázquez, now in the Frick Collection in New York. El bufón Don Sebastián was painted by the Spanish artist around the same time as the Fraga portrait of the King and is one of the painter’s most arresting and memorable works. The dwarf Don Sebastián de Morra was the buffoon and servant to Philip IV’s brother, the Cardinal-Infante Don Fernando, and had followed him to Flanders. He returned to Spain in 1643 and entered the service of the King’s eldest son and heir, the teenage Prince Baltasar Carlos. When the Prince died of smallpox at the young age of sixteen in 1646, he left in his will a small silver sword and other objects to Don Sebastián, demonstrating that he must have held the dwarf in very high esteem. The portrait of Don Sebastián is an essay in painterly virtuosity. Each piece of fabric, plush velvets and lace, is beautifully rendered by gleaming brushstrokes. The soles of the dwarf’s shoes are almost abstract paintings in themselves, as the light hits one and the other slowly withdraws in shadow. Don Sebastián’s face is an astounding exercise in psychology – filled with sadness and pity, but also dignified, gracious and noble. 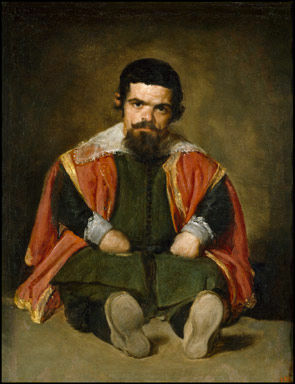 Velázquez portrays with this apparently insignificant dwarf an entire era of Spanish culture and history, the glorious reign of Philip IV. The masterpiece will be on display from 1 - 27 February 2011.